Surf News Network, 20 February, 2015. 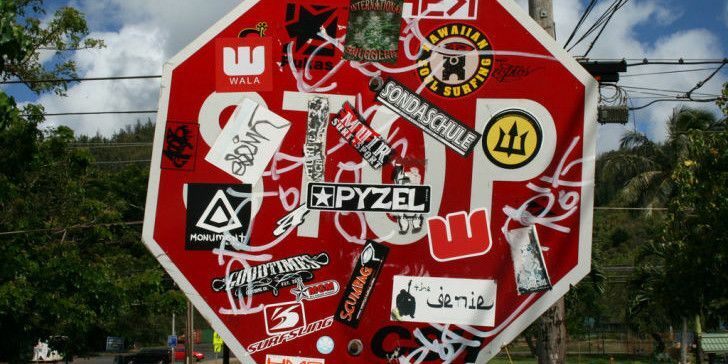 Dave Seehafer weighs in on the power of promotional stickers in this latest post. At the helm of Global Wave Ventures, a retail business management and action sports consulting firm, Mr. Seehafer has been actively involved with ASR, Surf Expo, SIMA, Board Retailers Association, SUP Industry Association & more for several years. On a recent sales trip, I was reminded how powerful a simple logo sticker can be. At the end of a meal in Hood River, the server brought the check along with two of the restaurant’s stickers, a survey card and an invitation to join the mailing list. My business partner immediately grabbed the stickers. I sat there in amazement over this reaction, and commended the owner on this simple & cost-effective way to promote his restaurant. For the rest of the trip through Oregon, the restaurant (6th Street Bistro) was proudly promoted on the bumper of my rental car. I realized when I got back home that I couldn’t recall a time when I had been given a sticker by any business in all of my years of buying and selling….thus sparking this article. In my travels, I see stickers from Encinitas surfboards and Ron Jon surf shop on cars from many states. Does this impact sales and shop awareness? Yes, absolutely. With rising costs and lots of marketing options these days, stickers are a great investment for any retailer who wants to boost awareness of their shop, build customer loyalty and ultimately grow sales. What about giving a sticker to every person who walks through the door? We all like unexpected gifts, plus it creates a unique opportunity to start a conversation and hopefully build a long-term relationship with that potential customer. Cost to retailer (2 color, 3” square sticker) = $0.25; potential sales return = HUGE! How about putting a shop sticker on all new and used surfboards and SUP’s? This is free advertising while adding exposure for your shop on the beach, in the lakes and throughout the community.